To customize a People Category’ simply go People > Categories, and click on the category you wish to edit. You can edit a People Category by clicking on the People Category itself. In the ‘Details’ area, you can name your category, select a colour and customize what is displayed on the layout. The ‘View’ button allows you to see the display as per the ‘Display Fields’ set for this People Category. ‘Copy Layout’ allows you to copy this layout and copy it to other People Categories. ‘Duplicate Layout’ allows you to duplicate this People Category layout. 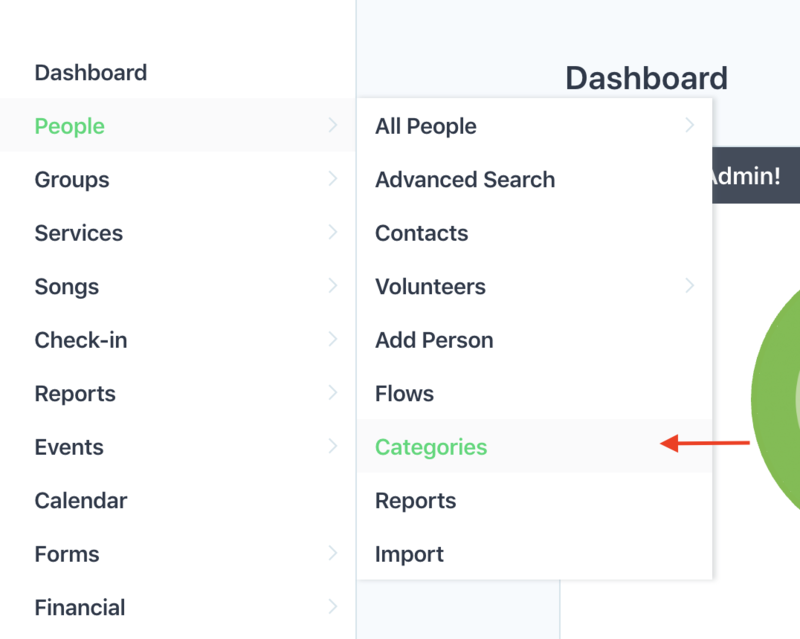 You can choose what fields are displayed in the layout of your People Category by dragging items from the ‘Edit Layout’ section on the right of the page and dropping it into the layout. You can also add custom fields from this page. 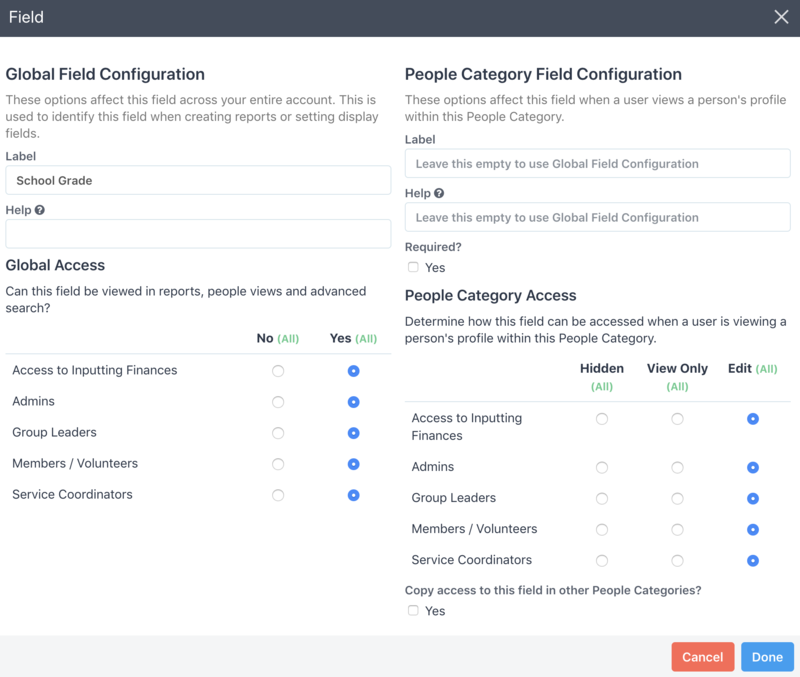 In the each individual field you can click on the pencil icon to set the Global access, People Category Access, set the field as ‘Required’ and determine whether you would like to copy the access in this field into other People Categories. There are fields like First Name that are preset and cannot be edited in this way. Lastly, you can choose what fields will be displayed when viewing people within this People Category from the main People page. Clicking on the ‘My Profile’ layout tab also allows you to customize what members within this category can change about themselves from their ‘Member Area’.